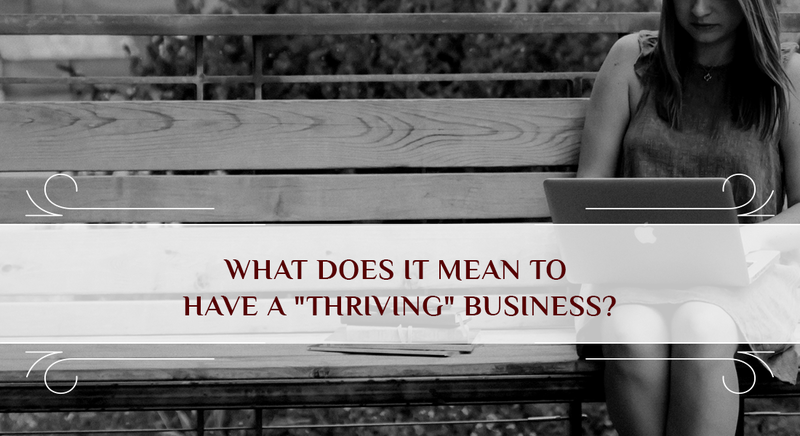 What does it mean to have a "thriving" business? But it’s important to remember that “thriving” isn’t just a matter of money; it also refers to the quality of your overall life. If you only want to work a few days a week, have minimal expenses, and already have things like retirement and savings squared away, building a million dollar business might not be worth the time and energy investment. If you want to have maximum impact, are energized by working, and enjoy a bit of luxury in your life, then investing time and energy into that million dollar business will be a joy. Either way, it’s all about knowing what you need to thrive and feel fulfilled. Once you’re rock solid in that knowing, you can align your goals with your values to build a business that thrives, on YOUR terms.